Audio makes up an increasingly significant number of categories at the T3 Awards and they are all focussed on wireless products that are built for playing streamed music and ripped CDs, if you're old school – younger readers may not be aware that music was once listened to on silver discs that were a bit like vinyl records, except you could put them in a computer. Who are our 2018 smart home champions? What follows are the winners in the audio 'super category', and they are… Best Portable Speaker, Best Multiroom Speaker, Best Over- or On-Ear Bluetooth headphones, Best In-Ear Headphones and Best Hi-Fi Product. Audio Pro have been making a big noise in portable, wireless audio for several years now, and are a firm favourite with our golden-eared colleagues over at What HiFi magazine. A lot of recent 'Bluetooth' speakers have more strings to their bow than Bluetooth alone and the Addon C3 is a fantastic example, blurring the line between battery-powered, portability and multiroom sophistication. In fact, with AirPlay and Spotify Connect, the Addon C3 could easily have won Best Multiroom speaker as well, but for this year, Audio Pro will have to make do with just the one gong. This tiny portable with nine-hour battery life sounds as good as it looks, and that's saying something. Love it. …And speaking of multiroom, what else could win this year but a Sonos? The only question was whether it should be the Sonos One or the same brand's Beam soundbar. And it turned out there could be only One. 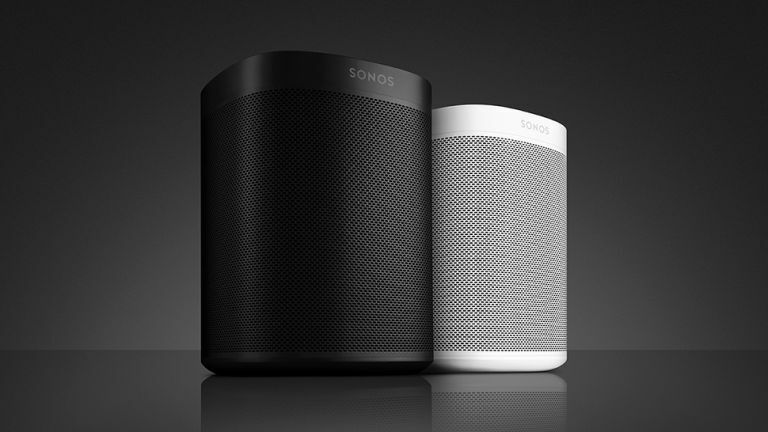 The One was a very successful rebooting of the Sonos brand, taking its traditional strengths in big, room-filling audio, rock solid wireless/multi-room streaming and support for multiple streaming services, and put it a more attractive, rounded speaker. It then bolted on support for Amazon Alexa home AI at launch and Apple's AirPlay 2 further down the line, via a software update. The result was like an Amazon Echo, but with much better sound (or a fantastic wireless speaker, but with Alexa in it, depending on how you look at it). Since then, everyone's been jumping on the 'great-sounding-speaker-with-a-home-AI-in-it' bandwagon, but Sonos got in early, did it best and also got the pricing spot on – this is the best value product the brand has ever made. The term 'game changer' is severely over-used these days but it applies to the KEF LS50 Wireless. It's the type of product this category was invented for, applying the traditional skills of hi-fi to the way most of us listen to music today – from the cloud, and from our phones. So easy to setup, so easy on the eyes and the ears, the LS50 Wireless drags the most possible out of compressed formats and is pure audio bliss when playing back music of CD quality and above. Suddenly, familiar tunes sound fresh again, while its one-box simplicity (okay, two-box – it's a proper stereo pair of speakers) frees hi-fi veterans from the constant urge to tinker and add new bits to their 'system'. One day, all hi-fi will be like the KEF LS50 Wireless. Highly commended: iFi xDSD. A high-quality headphone DAC that uses Bluetooth? It may sound like heresy on paper, but it sounds fabulous in reality. The first DAC that you can really use on the move with your phone, the xDSD can also use a wired connection for even better audio quality when used with your laptop or other digital device when not on the go. This was an insanely hard category to pick a winner in. Sony's WH-1000XM2 was breathing right down the Bowers & Wilkins PX's neck but in the end we decided that the superior styling, intuitive controls and stunning audio of the PX just trumped its rival. B&W's best ever wireless cans, the PX has almost magical noise reduction, tailored to your surroundings (street, office, planes, trains), with audio quality that is somehow incredibly natural and musical, despite all the digital wizardry being employed. They also happen to look trés chic, and the movement-sensing controls are highly innovative, yet also intuitive – and they actually work, which is always a plus. Highly commended: Sony WH-1000XM2. In any other year, this other noise-cancelling behemoth would have won. We had to give this to a pair of true wireless this year. Alas, Apple's category-leading Airpods were just too old to get the nod, so Bose's SoundSport Free got the nod. Everyone else who attempted to take on Apple by making a pair of high-quality true wireless buds that sounded better ran into problems with battery life, comfort, wireless reliability or any combination of the above. Bose, by contrast, nailed it. Although the name suggests they're for running and gym, we actually found these great-sounding buds to be more at home providing sweet sounds during the rest of the day. They're brilliantly comfy yet also secure, and they sound great. Even the battery life isn't bad, at least by true wireless standards. Highly commended: Flares Pro. At completely the other end of the Bluetooth bud spectrum, these are seriously good in-ear headphones aimed squarely at real music lovers. With a built-in DAC and dozens of tips to choose from, they provide the best sound of any Bluetooth headphones we've ever heard. The design and price are suitably uncompromising.